We have gone full circle back to the campsite in Oakdale, WI we stayed at on Day 34. It is 302 miles from Brainerd. There were no photos taken today of any interest; an out of focus large buffalo herd on a hill beside the Interstate and a really green colored river with green scum on the shore. 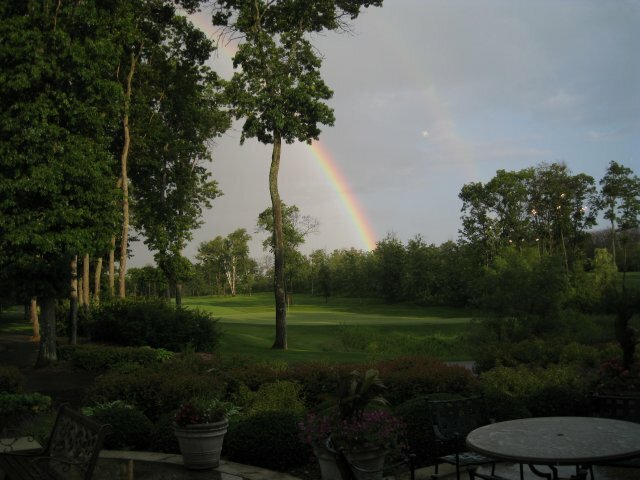 Accordingly, today's photo is the rainbow at the golf club in the downpour last evening.